Chris Cooper Set to Play Green Goblin in ‘Amazing Spider-Man 2’!!! 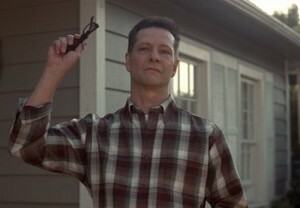 Actor Chris Cooper has just signed on to play Norman Osborn in the sequel to Marc Webb’s ‘The Amazing Spider-Man‘. Cooper joins the villains Electro (Jamie Foxx) and Rhino (Paul Giamatti) to fight Spidey this time. As of right now, we don’t know for sure if Cooper will turn into a villain in this film, but rest-assured, it will happen either at the very end or in the third sequel. Andrew Garfield and Emma Stone will reprise their roles with Alex Kurtzman, Roberto Orci, and Jeff Pinker writing the script, which was based on a draft by James Vanderbilt. We have more than a year to wait for the sequel, but this is already shaping up nicely. Willem Dafoe portrayed Osborn/Green Goblin in the original Sam Raimi film, and it will be very difficult to fill those shoes ashe did an amazing job. This entry was posted on Wednesday, February 27th, 2013 at 3:11 pm	and is filed under Uncategorized. You can follow any responses to this entry through the RSS 2.0 feed. You can skip to the end and leave a response. Pinging is currently not allowed. « ‘Flatliners’ Is Being Remade!! I think we got one. Wait, I'm going to go get a cup.